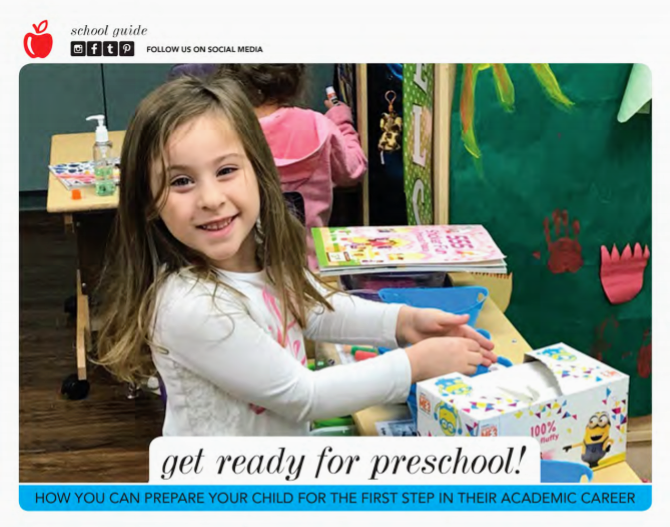 Home › News & Events › Get Ready For Preschool! Whether you plan to start sending your child to preschool next week, next fall or next year, there are some strategies you can start applying now to help make this transition a positive and successful one for all. PROCEED WITH CONFIDENCE. Feeling comfortable and having trust in the preschool you will be sending your child to is essential. Take the time you need to tour different centers, meet the teachers and directors, spend time in the class and speak with other parents to hear their experiences. To continue reading this article from Staten Island Parent Magazine, click here!